A 50-year old Iranian blogger, Mohammad Reza Pour Shajari (aka Siamak Mehr ), has been charged with “insulting the Prophet of Islam” and “enmity with God” or “waging war against God”, charges that could carry the death penalty in Iran. His trial on December 21, 2011 lasted only 15 minutes. In his last post  on September 8, 2010 he said he considered Shi'ite clerics a mafia group who had wasted away Iran's national resources since [the Islamic Revolution in] 1979. In February 2011, Bazaferinieazad published  a letter by Siamak Mehr where he says he is accused of acting against national security and insulting the regime's leaders. It also says his file mentions that he insulted [Islamic] sanctity like Salman Rushdie  (a British Indian writer who Iran's Ayatollah Khomeini famously issued a fatwa against). 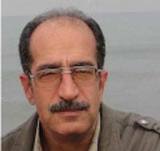 The Iranian regime has jailed several bloggers in recent years. As the tragic death of imprisoned blogger Omid Reza Mirsayafi  in 2010 showed, the more a blogger is isolated and deprived of a network, the more he is in danger.